Some music is meant to be blasted from open dorm windows on the first warm day of spring: the perfect soundtrack for throwing a frisbee on the quad, laying in the warm grass and reading a good book, or playing a crazy sunburnt game of whiffle ball. Some music is meant to tinkle quietly in the background underneath semi-serious dinner conversation. Some music is meant to be danced to — inhibitions be damned. And some music is meant to be listened to without distraction. It’s music for the soul and the mind and the heart, but not necessarily music for the feet, or the gut or the fist. Lloyd Cole’s music definitely falls into that category. Contemplative as a gentle spring rainfall hitting the pavement outside an open screened window. Enveloping as an aromatic spring breeze scented with cherry blossoms and daffodils. If the disappearance of all my favorite record/cd stores has done one positive thing, it’s made me appreciate the music I do own all that much more. I can’t buy new music as often as I once did, but I can dig out recordings long forgotten and unjustly ignored. CD’s listened to once and then shelved because, at the time, the expected or anticipated connection was missing. Sometimes that “long-lost” music is full of surprises and new discoveries. Lloyd Cole’s self-recorded (reportedly on his Mac) seventh solo offering, Music in a Foreign Language, recently had that very effect on me. After his brief stint with The Negatives—a good idea that should have been explored more extensively and given more time to coalesce—Cole released Etc., a collection of outtakes from ‘96-2000; and Plastic Wood, a pretty much unlistenable recording of solo synthesizer noodling that should have just been made available as free downloads to “serious fans only” rather than a full-length CD for full-price purchase. I didn’t buy it, but I’m sure somebody did, and promptly swore-off Lloyd forever after trying to sit through it. Their loss, because the next recording, it turns out, is an absolutely exquisite and sublime collection of sentimental pop music that gets inside your head and take up permanent residence. Not that I recognized that the first time I listened. I was still getting used to the idea of Lloyd being back in a real band, so I’m sure Music in a Foreign Language was one of those listened-to-once acquisitions quickly replaced by the likes of The Delays, Franz Ferdinand, The Dollyrots, Camera Obscura (who had a minor indie hit with the song “Lloyd, I’m Ready to Be Heartbroken”), and other bands’ music I found more exciting back in 2004. But when I pulled the CD out the other day—feeling like I owed it a second chance—I realized exactly why I enjoy Lloyd Cole’s music so much, and have dedicated so much space to him on the HMSOD website. I can’t believe how quickly I disregarded this recording. Given just half a chance more, five years later, it proved to be anything but disappointing or forgettable. Lloyd hadn’t lost anything back in 2004; he hadn’t stopped writing amazing music, I had just stopped listening for some reason. But with a gentle spring drizzle falling outside the open screen door behind me, and incredible new speakers positioned in front of me, every track on Music in a Foreign Language came to life like never before. And listening to those ten songs made me wonder, once again, how artists fall in and out of fashion or popularity—even obscure popularity—when they continue to produce catchy songs of remarkable emotional maturity, wit, and insight. I hope you’ve enjoyed this prolonged tangent into the work of one of my favorite musicians as much as I’ve enjoyed writing about him and presenting his music to you. For those of you who have gladly suffered through my indulgence, take heart. The end is in sight. 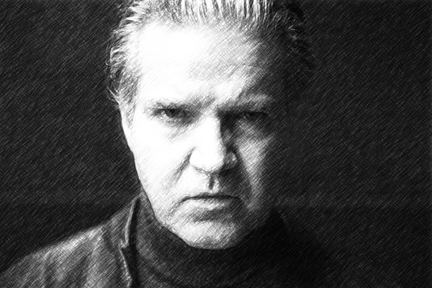 Tomorrow will be my last Lloyd Cole installment. In the meantime, Thursday’s Happy Medium Song of the Day features the stripped-down acoustic beauty of “My Alibi.” Cue the rain.